At Mt. Ashwabay, we’re passionate about getting people outside and celebrating winter sports. Our lessons and youth programs contribute to a safe, fun, and encouraging atmosphere where you can grow your confidence and ability no matter your skill level. ​Saturdays (starting January 12) | 3-8 p.m.
Ashland - Bay Area Civic Center - 2:30 p.m.
Washburn High School - 2:45 p.m.
Return shuttle leaves the hill at 8 p.m.
Reserve Your Spot: Riders must call BART to reserve their spot on the bus. ​No instruction available on Youth Nights. 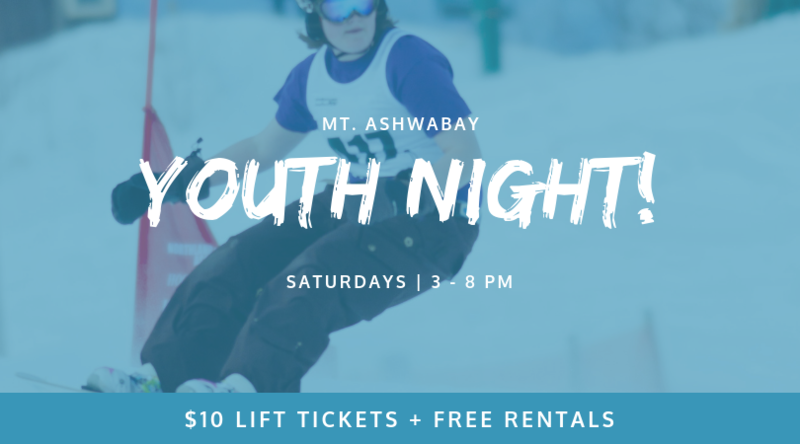 Youth Night lift tickets begin at 3 p.m. and do not include a full-day pass. Get personalized instruction and boost your skills with an individual lesson whether it’s your first time on the snow or you’re looking to take your skiing or snowboarding to the next level. Contact the hill to schedule your lesson. Our calendar fills quickly, so be sure to contact us with your requested visit dates. These programs are offered with prior arrangement and confirmation, and only to approved groups. Contact the hill for more info. Prices vary with group size, abilities, and ages. We gladly accept walk-in requests for lessons, but recommend reservations 24-48 hours in advance to arrange instructors. ​To give students the greatest possibility of success, large group lessons are organized by age and ability. This may mean splitting groups of families or friends. The success of participants ages 6 and under varies greatly, depending on each child's motivation and physical ability. Our primary goal is creating a safe, positive experience that instills a desire to ski or snowboard again. As such, we may modify or shorten the lesson to accommodate needs. We reserve the right to reschedule or cancel lessons if conditions are unsafe. We always attempt to honor requests for specific instructors for private lessons, but occasionally requested instructors are unavailable. We are happy to either substitute an alternate instructor, or reschedule for a different time. Save big if you're a first-time skier or boarder! 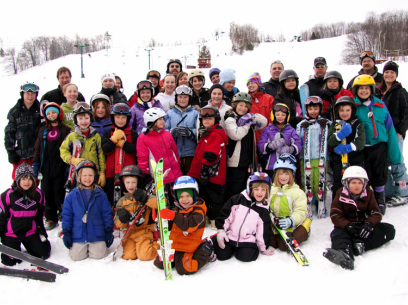 ​Volunteer instructors work closely with students and parents to instill a love of skiing and snowboarding. Using the PSIA/USSA training for our parents/coaches, your kids will learn the latest techniques and tips to make skiing easier and more fun. At the heart of the program is family involvement. 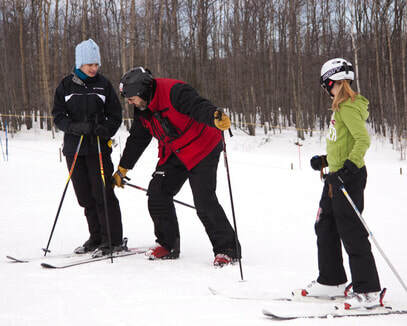 Parents are encouraged to volunteer as coaches, and in doing so learn skills to improve their own skiing technique. Check back next fall for 2019 dates! Our popular Holiday Mini-Camps offer a chance for youth to learn a skill, and opportunities to grow and improve. Work on fundamentals of skiing with a focus on safety and fun. Learn the basics of snowboarding in an encouraging atmosphere. Advance registration preferred. Email john@mtashwabay.org with the participants name, skier or boarder, and the day(s). Walk in registration is permitted. A fully completed registration form with parent/guardian signature is required for each participant.